We have a committed team in Zambia working in all areas of the organization to bring our vision into reality. Benedict is a businessman, entrepreneur, husband, father, grandfather, and Christian disciple seeking to follow Jesus. He holds a BA from Johns Hopkins University, and a Masters in Counseling from Connecticut State University. He has developed software programs for Charter Schools, Independent Living Centers around the United States, worked with colleges and universities, and was an adjunct faculty member at Cornell State University. His desire and call to respond to the needs of orphans, especially as a result of the AIDS pandemic, resulted in helping his church in MD to build a children’s village in Namibia, and then Village of Hope in Zambia. He serves as the Executive Director for All Kids Can Learn International and directs all the operations in Zambia. Kathleen is an educator, musician, wife, mother, and grandmother. She received her BA from McDaniel College (Western Maryland College at the time) in Social Work, and Religion and Philosophy. She later received a BA in music from Thomas Edison State College. She has served as organist, choir director, and Director of Music in churches over 30 years. She was the co-founder of Joyful Sounds School of Music in BelAir, MD. 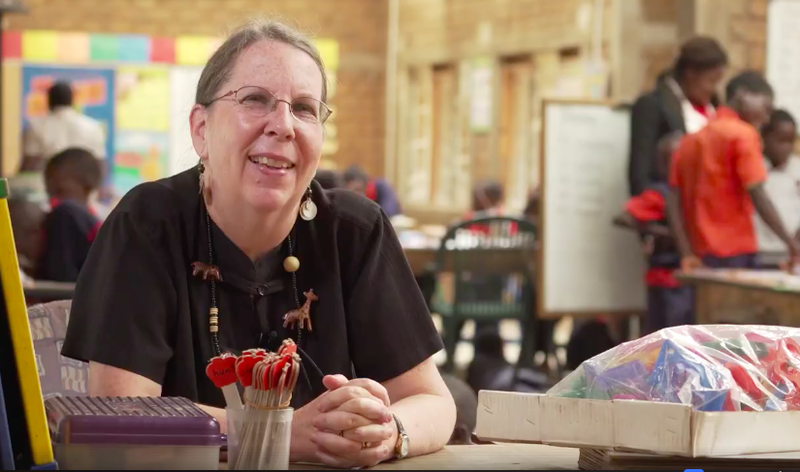 In Zambia she founded and now directs the School of Hope. In addition, she coordinates volunteer teams and individuals who come to visit the Village of Hope. Dr. Chipepo Chibesakunda is a Zambian and serves as Deputy Director of All Kids Can Learn Zambia. She received her medical training from the University of Havana, Cuba. Upon returning to Zambia she did her internship at the University Teaching Hospital in Lusaka. She worked as Deputy Director of the Kafue Hospital and the Health District. Chipepo is concerned for the health and well-being of the children and our employees and their families. Her attention is focused not only on physical health, but also emotional health and spiritual formation. Vernon Caldwell is an Administrator and Vice Chancellor of the Hope College of Education. He has worked in Brazil and Botswana. He was an adjunct professor at Hunter College and City College of New York. Vernon came to Villages of Hope in 2017 to set up the College of Education and is working in developing all aspects of the college. He holds a Bachelors degree from Haverford College, Masters Degree from University of Pennsylvania, and is a Doctoral candidate at City University of New York Graduate Center.